Both the American Chamber of Commerce in Bahrain and the U.S. Embassy in Manama prepare to celebrate the 10th anniversary of the U.S.-Bahrain Free Trade Agreement (FTA) this month, on the heels of Secretary of State John Kerry’s quick April 7 visit to Bahrain to discuss a range of regional and bilateral matters. As various parties to the FTA take stock in real numbers and financial bottom lines accrued over the past decade, the diplomatic and public engagements that lead to — and result from — pursuing FTAs should not be underestimated. Looking back beyond the FTA’s ratification is also instructive: Let’s recall the period 15 years ago when policymakers in Washington decided to include Bahrain among our priorities for the next round of trade liberalization negotiations. Bilateral trade agreements in those years were very often aspirational, hopeful efforts to build bridges economically, diplomatically and technically to benefit both sides. By helping create technical capacity and adherence to common rules and best practices — and favoring U.S.-based rules over counterparts that often competed for primacy, such as EU standards — the U.S. hoped not to dominate smaller economies, but instead lift them to the level of equal partners in negotiation to provide sustainable, long-term, win-win agreements. Economic priorities mixed with security, stability and cooperation on multiple fronts. So why Bahrain, a relatively small trading partner at the time? The U.S. had just concluded, or was in the process of negotiating, successful bilateral trade and investment agreements with many others — some major partners, others not. By building on small victories, aggregating to larger successes, the hope was to create bottom-up trade deals while also pursuing top-down global, comprehensive agreements like the so-called "Uruguay Round," which had created the World Trade Organization (WTO) out of its predecessor, the General Agreement on Tariffs and Trade (GATT). Many were skeptical at that time about the possibilities of another WTO round, including my boss, Rep. Clay Shaw (R) of Florida, who chaired the Florida delegation and was poised to take the gavel of the Ways and Means Trade Subcommittee. To date, that Doha Round of WTO negotiations launched in 2001 has not produced tangible results. Nor has the "Free Trade Area of the Americas" many of us conceived as a more realistic multilateral approach based upon regional common goals. The Trans-Pacific Partnership (TPP) is the largest agreement to have been concluded in that timeframe, but its pending ratification remains complicated by domestic politics. Without a doubt, the imperatives of showing friends in the Arab world our commitment to them — and recognition of their partnership in the Global War on Terror following the horrific events of Sept. 11 — were important considerations when evaluating equivalent opportunities among similarly situated economies in size and scale. Trade can always be a positive tool in diplomacy and national security, if utilized effectively. Trade talks also plumb the lines for candid dialogue across multiple agencies, ministries and stakeholders. Trade pacts encourage rule of law and transparency, with due process for commercial disagreements and mechanisms for finding common ground. FTAs also engender channels for continuing cooperation, creating ripples that cannot be measured in simple terms. The bilateral commitment anchors further collaboration on education, culture, arts, sports and person-to-person connections, while smoothing discussion on often thorny issues such as mutual security, regional threats, or ecological and human rights concerns. In the example of Bahrain, where I have resided since 2013, British history and heritage remain strong but America’s appeal commercially, culturally and educationally continues to grow. Evidence the number of Crown Prince Scholarship Program participants studying in American schools and universities; the American artists invited to perform; the experts in diverse fields invited to address audiences at conferences and gatherings (whether privately sponsored or supported by government grants); and Bahrain’s high-level participation in U.S. forums, such as the C3 US-Arab Summit series, where American Mission Hospital of Bahrain’s CEO keynoted a panel last year alongside senior State Department and American business representatives. Kerry referenced the importance of the American Mission Hospital in remarks made locally this month. It remains a person-to-person example of community, collaboration and commerce (the three Cs in "C3") built upon human capital and knowledge exchange in the most vital and impactful arenas of cross-border cooperation: improving healthcare outcomes. 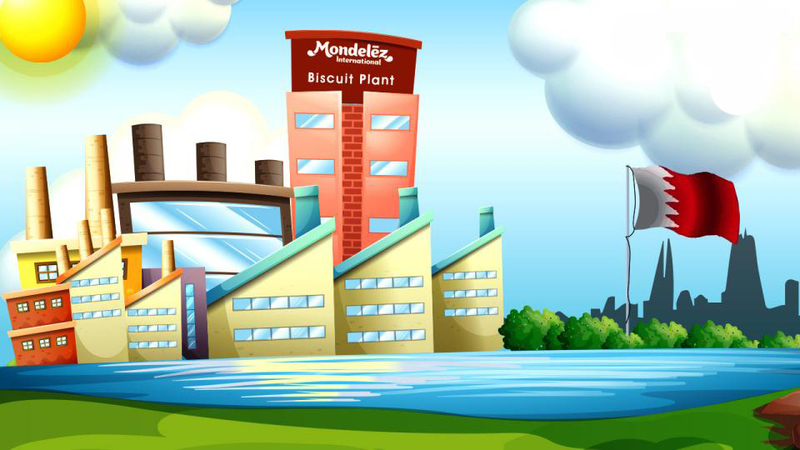 In purely commercial terms, the multipliers are easy to see when U.S. food manufacturing giant Mondelez expanded by breaking ground on reclaimed land (with American engineering help) on a second plant in Bahrain to manufacture and distribute signature American food brands to Bahrain and neighboring Gulf countries. Just as significant are the jobs that will be created in Tennessee when Bahrain’s fiberglass and composites manufacturer, BFG International, finalizes plans to expand its footprint in the U.S. with a new plant outside Nashville, Tenn. But no less significant are the smaller enterprises who look to the FTA as a gateway — American manufacturers gain access to regional Gulf Cooperation Council markets and beyond, while entrepreneurs from India and around South Asia realize they can more easily access U.S. markets by strategically siting and sourcing through Bahrain. In a part of the world where political and security considerations remain front and center, the Bahrain Free Trade Agreement endures as a visible sign of strong and enduring relations with mutual benefits that transcend simple commerce and investment into cooperation on intellectual property protection, creative expression, cultural dialogue and person-to-person diplomacy. Castro was legislative director and trade policy adviser for Ways and Means Trade Subcommittee member and rising chairman, Rep. Clay Shaw (Fla.) from 2000 to 2002, followed by two roles as a State Department official under President George W. Bush. He currently resides in Bahrain, advising companies globally on public policy, new market development and public affairs strategies.